Beyond the tension and compression aspects of a continuous rod tiedown system, wood shrinkage must also be addressed. 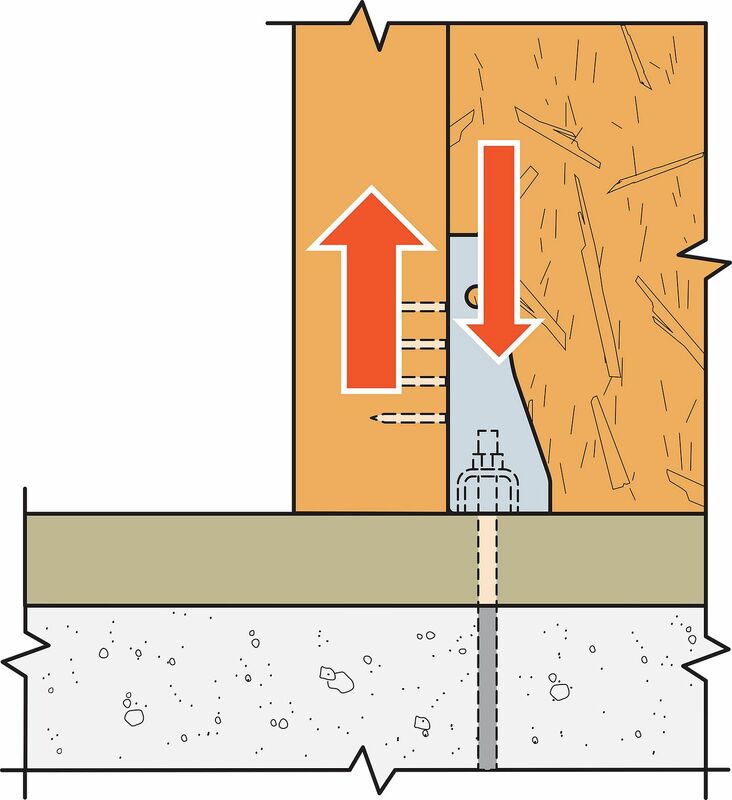 In these types of structures, shrinkage and settlement can cause a gap to develop between the steel nut and bearing plate on the wood sole or top plate (see photo below), as the shrinkage increases cumulatively up the building and is the greatest at the uppermost floor. This can cause the system not to perform as designed and can add to system deflection. As a result, take-up devices must be used with most wood structures greater than two stories tall as is noted in the IBC 2015 Section 2304.3.3 at each level to mitigate any gap creation and therefore ensure optimum system performance. What is the Load Path? A traditional shearwall relies either on holdowns or straps attached to posts to transfer the net shearwall overturning forces to the foundation. Step 1. 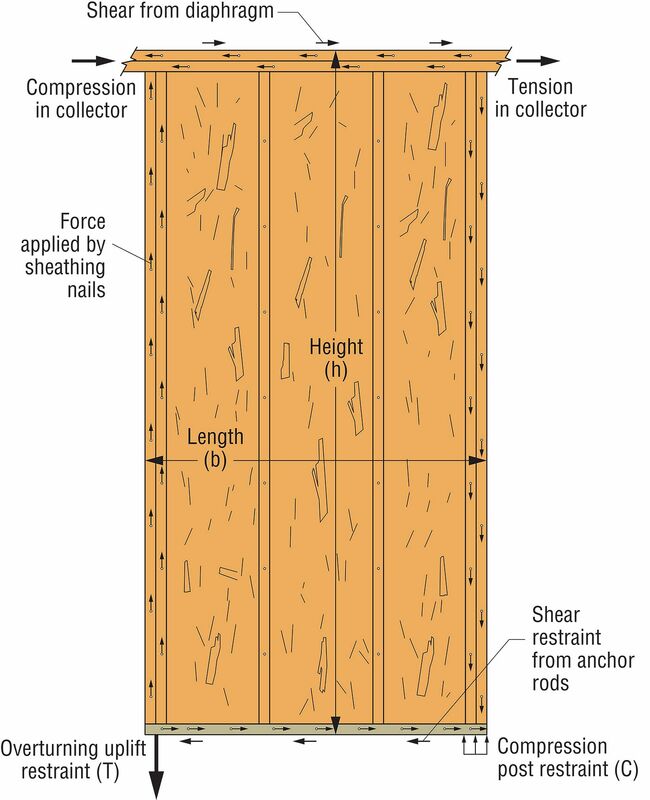 Nails are typically used to transfer loads from the sheathing to the wall framing. Step 2. The outermost framing boundary elements transfer the tensile forces, resulting from the net overturning, to the holdown that is attached to the post at the boundary. 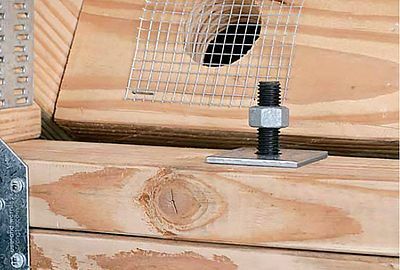 The end posts deliver the sheathing load to the top plates and bearing plate. Bearing plate transfers the load through a nut into the rod system. 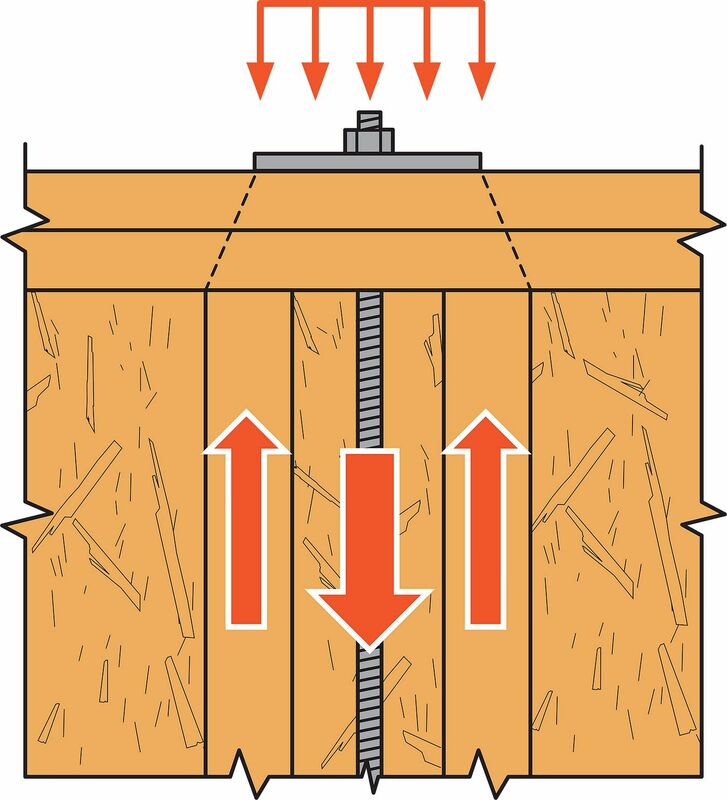 Rod system transfers the load from the plate through tension in the rods to the foundation. 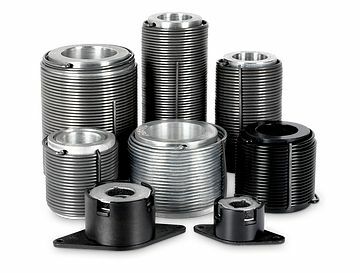 Aluminum take-up devices (ATUD) allow for multiple rod diameters. Ratcheting take-up devices (RTUD) fit 1/2", 5/8" and 3/4" diameter rods. Optimized bearing plates accommodate the new ATUD and RTUD sizes. New options for compression post configurations that standardize anchor layout and reduce non-structural lumber in the upper stories. Shallow podium anchors provide test-proven solutions for anchoring high loads to relatively shallow podium slabs at interior and edge conditions in conformity with ACI 318, Anchor Provisions.